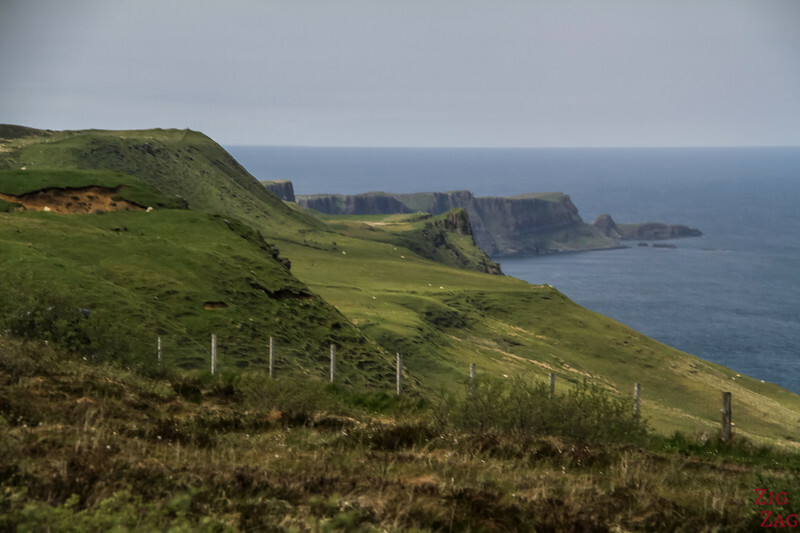 The Trotternish peninsula, North of the isle of Skye is full of stunning places to see, especially its sea cliffs. 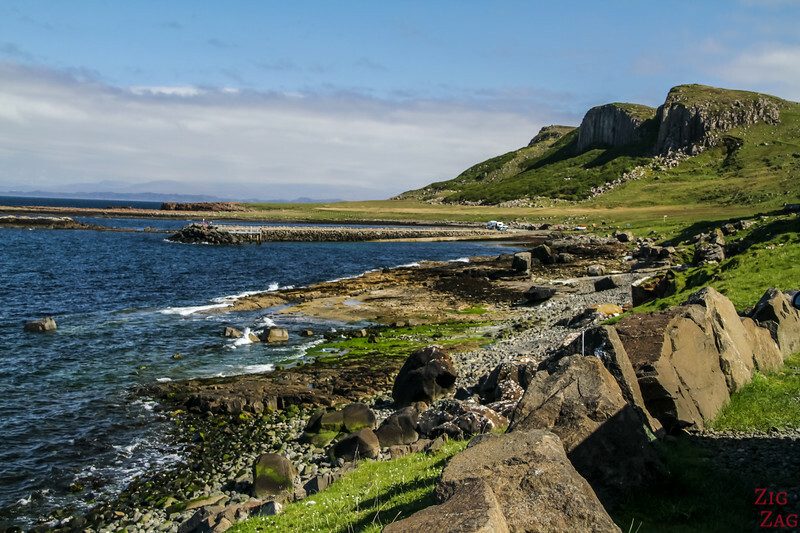 The Staffin Ecomuseum identifies several of those sites. 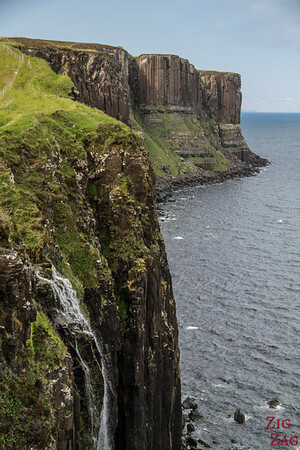 Kilt Rock is a favorite for tourists because of its Kilt-like shape and its waterfall, the Mealt Falls. There are other great stops to enjoy on the road and I am introducing them in this article. 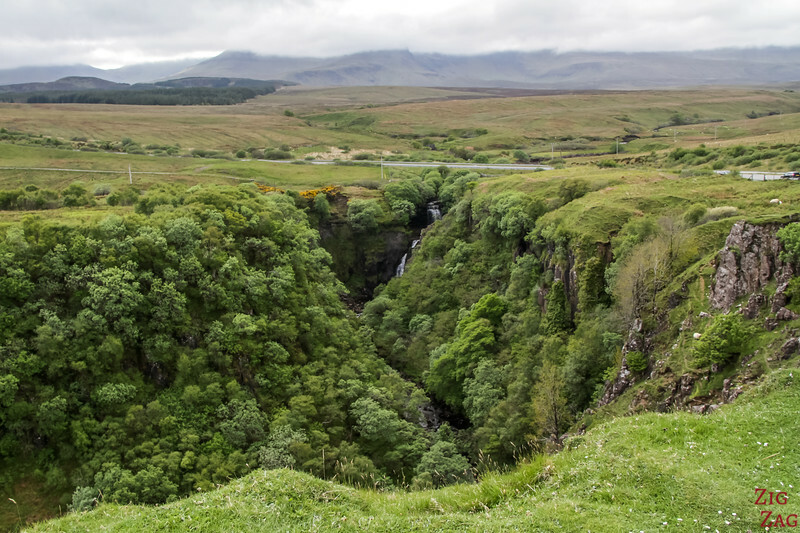 These locations, along with many other beautiful places, are included in my eBook: The Road Trip Guide - Scotland. 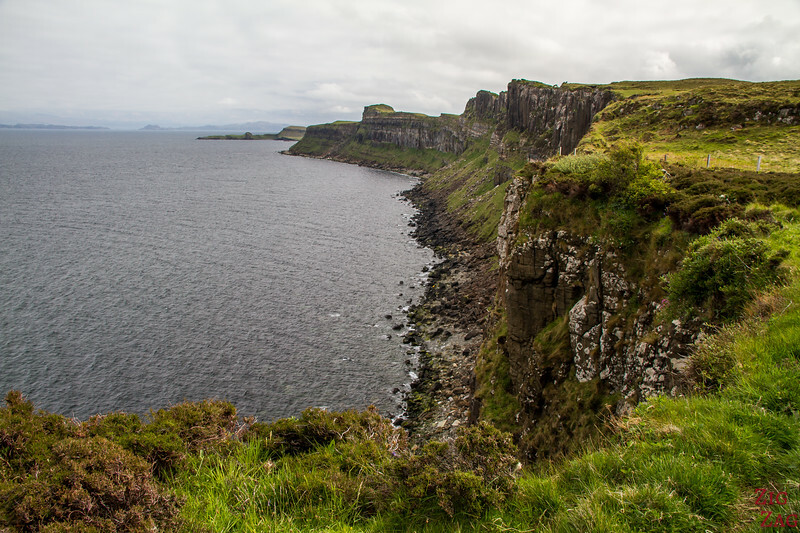 Several sites are identified on the Coast from the Old Man of Storr to Quiraing and further North. 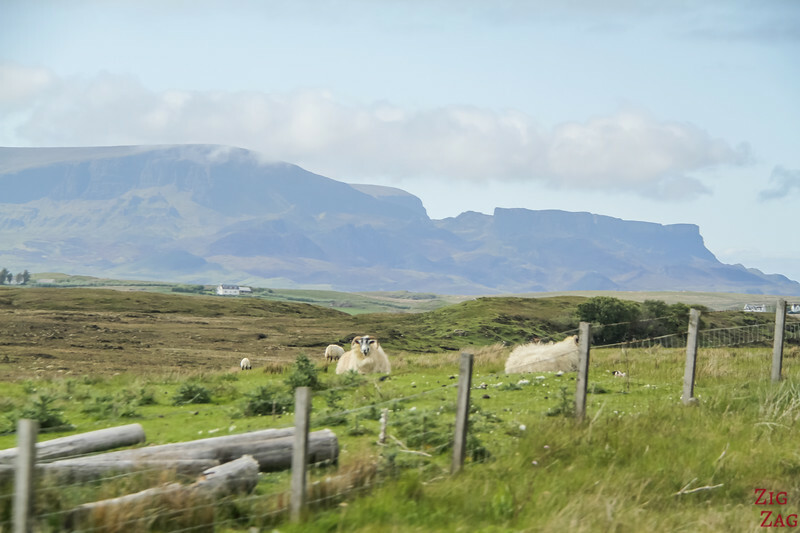 This is called the Staffin Ecomuseum. 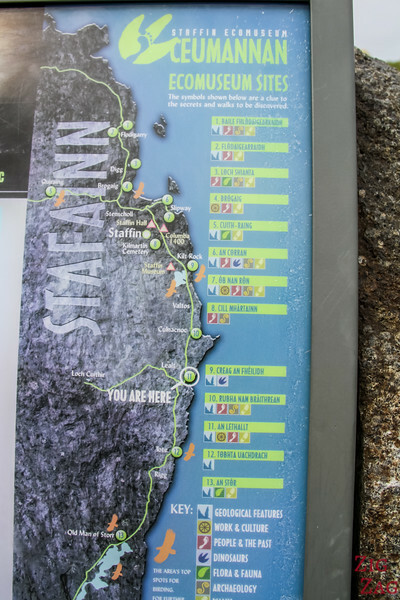 See the map of the sites below. 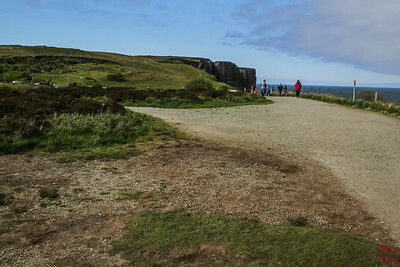 The view of Kilt Rock Skye and the Mealt Falls is right next to the parking but you might have to wait for your turn to see it properly. This is an island in the North... dress for cold wind! Let's start with the famous Kilt Rock and its waterfall. 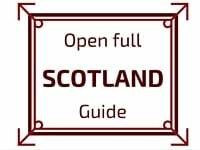 It is also called Creag An Fheilidh. 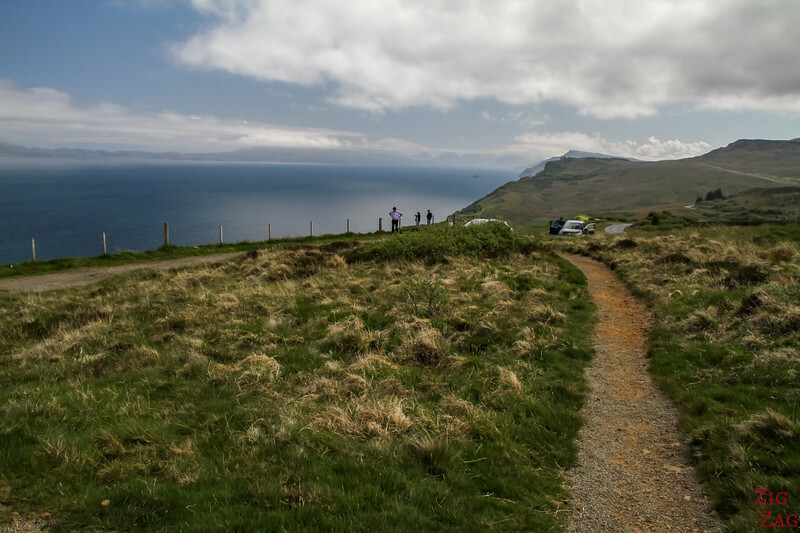 You will wonder many time before arriving there, if a place is the Kilt Rock Parking because there are other interesting stops (that I am sharing further down) but don't worry you can't miss that one, it is well indicated. 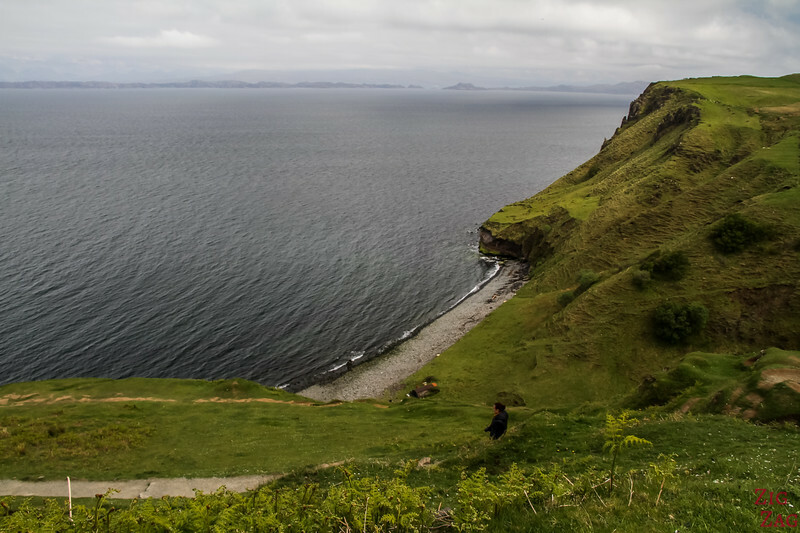 The Kilt rock view is easily accessed by anyone as it is very close to the parking via a well maintained pathway. 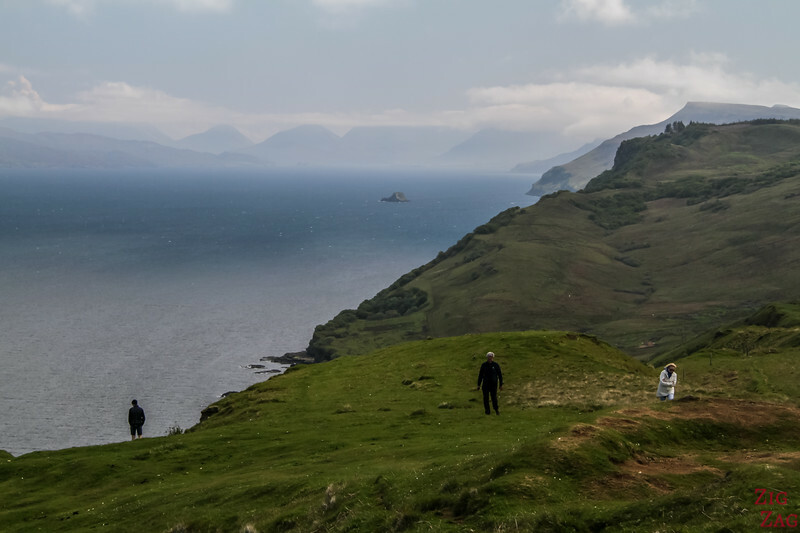 However being one of the top things to do in Skye, you will never be alone and might have to wait to reach the fence and get the best unobstructed view. 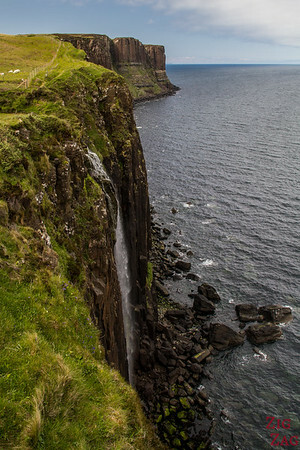 The Kilt rock waterfalls, the Mealt Falls, are a 55 meter free drop into the sea. It is fed by Loch Mealt on the other side of the road. 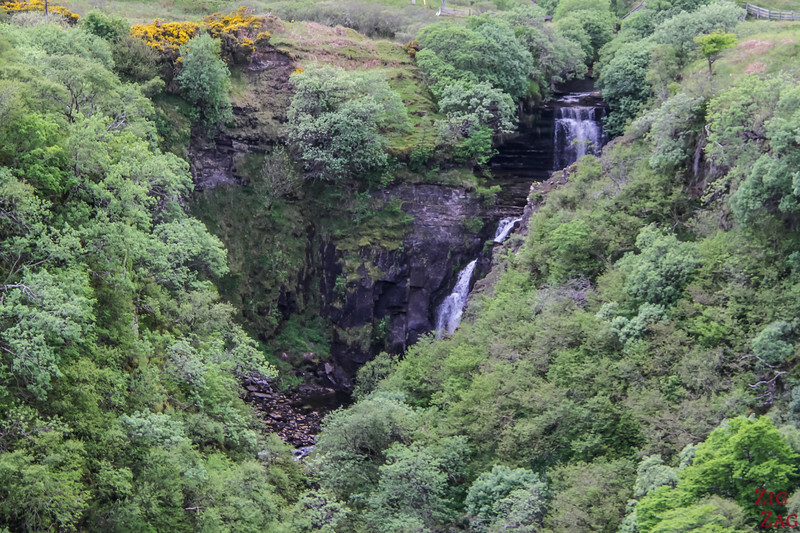 It is fairly rare to see a waterfall dropping into the sea. So, even tough there is not much water flowing, the view is quite special. The other reason behind the popularity of this place is the shape of the cliff. 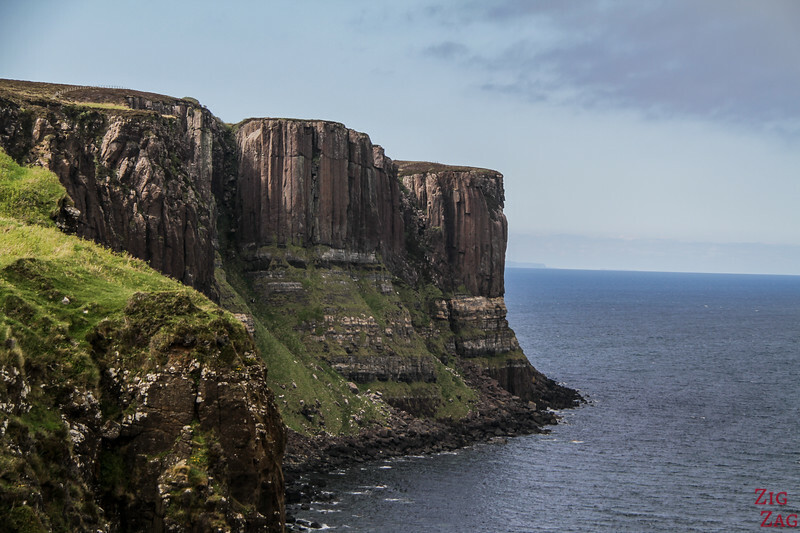 The vertical basalt columns look like they form the pleats of a Scottish Kilt. The cliffs are 60M (200ft) high. This is a typical geological formation from volcanic activity. Most visitors look at the falls and rock and head back to their car. Don't do that just yet! 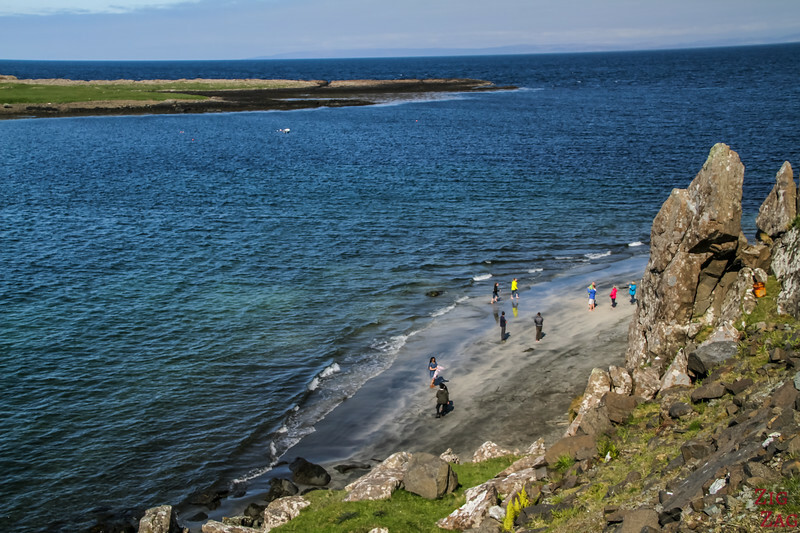 You can also walk to the other side of the walking path for another great view of the sea cliffs. A little bit South of Kilt Rock, I stopped at An Lethallt thinking it was Kilt Rock. A short walk takes you from the parking along a narrow canyon. At the end admire the view over a beach. And when you turn around and come back you realize, the point of interest is a waterfall that is actually very close to the road. It is nested in the lush green canyon. I think this spot deserves a short stop (even just 5 minutes to see the waterfall). 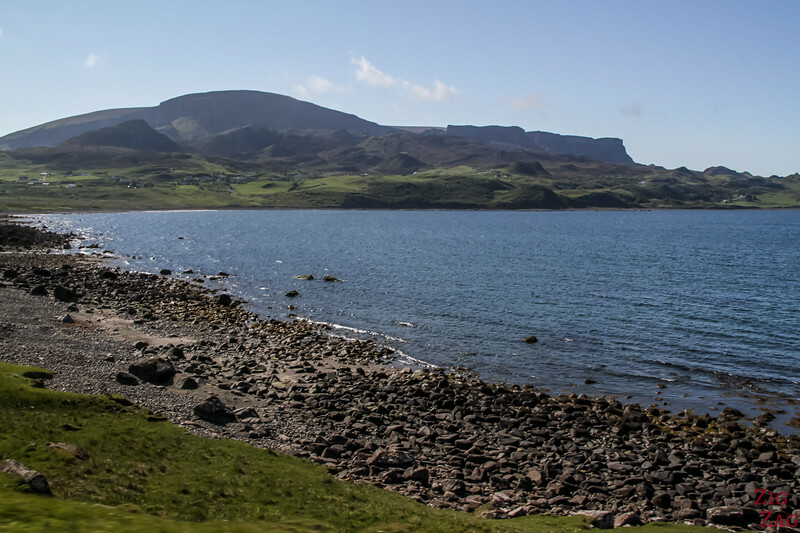 A flat 2 to 3 hour return walk takes you on the diatomite railway to Loch Cuithir for those interested in history and views of the Trotternish ridge. 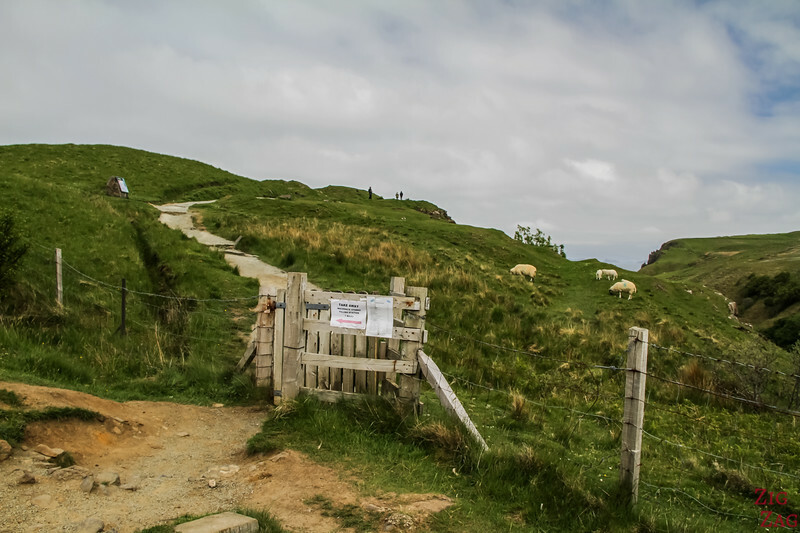 Not far North from the Old Man of Storr Skye, you will spot a small parking area on the right. This is Tobhta Uachdrach. 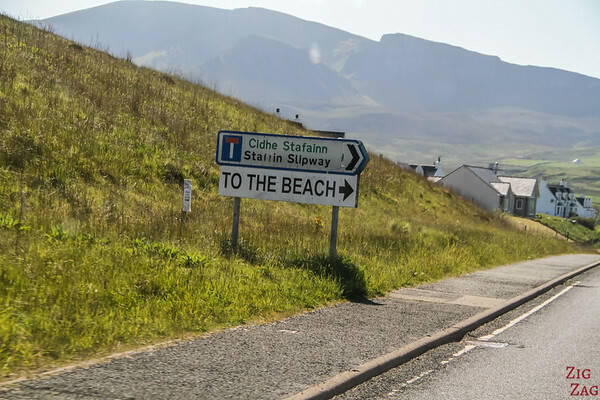 From there, on a clear day, you can see the peaks of Mainland Scotland. 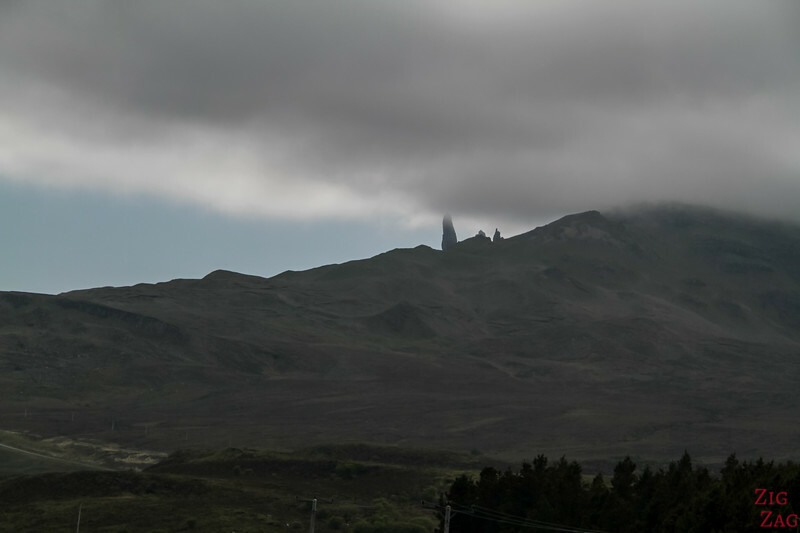 And if you turn around you have a great view of the Trotternish Ridge and the Old Man of Storr. The original Slipway was built in the early 1900 to allow for the deliveries of foods and goods. There is another stop called Rubha nam brathairean or Brothers Point that is a dramatic headland. I seem to have missed it. It is a 1h return walk. 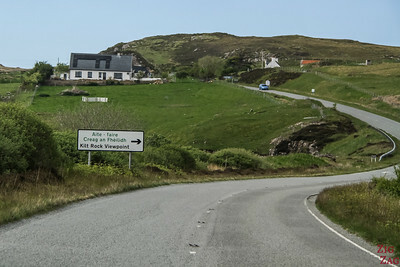 The start is at Lay-by on A855 at Culnacnoc - 40m north of The Glenview hotel. Have you ever seen a waterfall plunging into the sea? Where?